Berkshire HorseWorks’ programs offer the tools to cope, heal, compete, challenge, communicate, lead, empathize and thrive in today’s world. BHW brings the powerful EAGALA Model of Equine Assisted Psychotherapy (EAP) and Equine Assisted Learning (EAL) to the community to help augment, in a new way, the wellness and vitality of one’s own heart, the heart and soul of others, and the heart of a vibrant workforce. Founded in late summer 2013 by Hayley Sumner, a NY/CA transplant and cancer survivor, Berkshire HorseWorks operates out of a 7 acre ranch located at 101 Patton Road, in Richmond Massachusetts, with hiking trails, outdoor paddocks, a vernal spring and sun patio, walking meditation trails and quiet reading hamlets. Highly effective, evidence-based, and experiential, EAP and EAL are offered seven days a week through individual sessions, workshops and retreats with EAGALA Certified professionals. The Model has a diverse application from helping in the healing process of the children, families and first responders affected by the Newtown tragedy, to assisting military personnel and veterans with PTSD reintegrate into society, to cultivating empathy in Fortune 500 companies, motivating an organization’s sales force or even teaching anti-bullying techniques in schools. Having owned a public relations firm for more than 20 years, Sumner recognized the importance of investing in and supporting her associates in their personal growth. “We would go on rafting trips to Costa Rica to help us all develop a sense of trust and teamwork. They became great leaders and listeners. Had I known about horses at that time I might have traded in the rafts for hooves. We can work on just about anything in the arena that one would do in boardroom trainings or on a therapist’s couch. Bringing it to life allows for hands-on metaphorical learning that is very powerful for staff development, employee retention and overall wellness,” states Sumner, an EAGALA Certified Equine Specialist for 9 years. “My hope when starting this business was to be able to help organizations and our community concurrently. 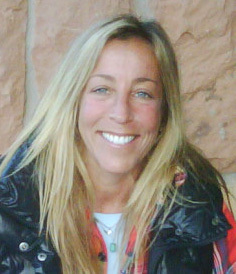 If we can offer a new way for people to honestly examine themselves and their impact on team dynamics while facilitating change through effective communication, increased problem solving and creative thinking, then that will lead to more productive and healthier relationships all around,” said Sumner, Founder and Executive Director of Berkshire HorseWorks.